Foreword, ‘There is hardly any place on earth today where Islam is totally unknown. More and more people have become curious enough to find out something about this much publicized religion; more often than not, they have been pleasantly surprised. Islam is the religion and way of life of about one fifth of the world’s population. Muslims are of diverse nationalities, cultures and races, but their religion teaches that all humanity is essentially equal. 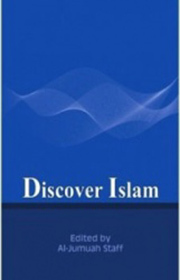 Islam is generally misunderstood and misrepresented in contemporary Western societies; therefore, it is hoped that this booklet will help shed light on Islam and dispel many of the prevailing misconceptions. With this objective in mind, al-Jumuah Magazine presents a brief overview of Islam, followed by answers to some of the most commonly asked questions by non-Muslims.